- Quality ingredients: High in flavoring content; full, long-lasting flavor and strength. The leaves have a pleasant warm, fresh, aromatic, sweet flavor with a cool aftertaste. 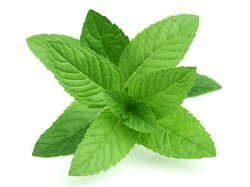 Mint leaves are used in teas, beverages, jellies, syrups, candies, and ice creams. We provide hygienically packed fresh vegetables to our clients. These vegetables are free from artificial colors and pesticides and are organically cultivated using advanced technology and harmless fertilizers. 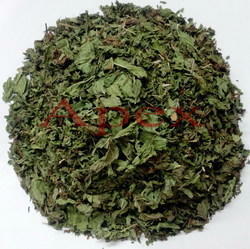 Mint Leaves are known for their best quality and purity among our valuable client. These products are made using fine and fresh mint leaves, which meet the quality standards. These products provided in safe and hygiene packaging, clients can avail from us these products at most competitive prices. We are exporter and service provider of Mint Leaves Dehydrated as per customer requirement. According to some tradition mint is good for clearing voice and curing hiccups. It removes bad breath and provides freshness. Due to its long-lasting aroma and taste, it is consumed all over the world. It is provided by us at very reasonable price.